New Zealand is home to nearly 400 golf courses and the majority of these welcome international guests for casual play. This 15 day tour of New Zealand takes you from the sub-tropical Bay of Islands in the north to the alpine resort of Queenstown in the South Island. Along the way you have an enticing range of courses to choose from. With many designed by well known heroes of the game including Sir Bob Charles and Jack Nicklaus or try one of the locals favourites like Muriwai Golf Course located on the rugged west coast of Auckland. See Auckland after dark with this amazing on-water dining experience, not to be missed while you're in Auckland. Take in the sights of the Waitemata Harbour - then watch this photogenic city come alive with twinkling lights. Your experienced crew will talk about Auckland’s highlights and there will opportunity try your hand at steering. At our sheltered mooring you'll be served delicious New Zealand fare - choose from a delectable three course menu catered for by a renowned Viaduct Restaurant. Muriwai Golf Club is a links course situated in a protected bird sanctuary and famous for its Gannet colony. There are no encroaching buildings, no traffic sounds or large crowds. The only sound you'll hear are the calls of native birds and the surf breaking on the beach. The course is of naturally rolling fairways and breathtaking views of sea and forests from every hole. To play at Muriwai is to play as the game was meant to be played. Formosa Golf Resort is listed in The Finest Golf Clubs of the World and covers an area of 440 acres. The course has panoramic views of Waiheke Island and Rangitoto from its clifftop and coastal fairways. Designed by internationally renowned golfing professional, Bob Charles, the course features 18 holes of sensational golf. Made up of over 140 subtropical atolls, New Zealand's Bay of Islands is commonly known as the ‘winterless north.’ Renowned for its untouched beaches, abundant marine life and idyllic climate this tropical paradise is the perfect place to relax and unwind. Spend some time on a remote stretch of beach, or cool off during a ‘swim with dolphins’ ocean safari. If diving is your thing, take the morning to descend the Rainbow Warrior - The Greenpeace flagship sunk by French saboteurs in 1985. Wander around Russell, a whaling port founded in 1843. Learn about our culture in historic Waitangi, the site where The Treaty of Waitangi was signed in 1840 between the Maori and European settlers dictating the terms by which New Zealand would become a British colony. Before you leave take a travel day to Cape Reinga the very top of the North Island. The Waitangi Course not only provides an exciting and ever changing challenge to the golfer but also the most tremendous panorama of sea and island views over the Bay of Islands and Russell, river and estuary views over Waitangi and Opua and rolling bush and forest views inland over Mount Bledisloe and Puketona. These views are complemented by well groomed greens and fairways surrounded by areas of flowering native trees which provide sanctuary for many varieties of native birds. As many visiting golfers, particularly those from overseas, claim Waitangi is truly millionaires country for all to enjoy. In 1932 the then Governor General of New Zealand, Lord Bledisloe and his wife Lady Bledisloe purchased just over one thousand acres of land on the Waitangi Peninsular and donated it to the inhabitants of New Zealand as a place of historic interest and recreational enjoyment for their benefit and use in perpetuity. This land is known as the Waitangi National Trust and is now administered and managed under the terms of the original gift by the Waitangi National Trust Board. The Waitangi Golf Club leases the land on which the course has been developed from the Trust. for current green fees click here. Kauri Cliffs was designed and built by David Harman. The par 72 championship golf course measures 7,119 yards / 6,510 metres and offers five sets of tees to challenge every skill level. Fifteen holes view the Pacific Ocean, six of which are played alongside cliffs which plunge to the sea. The beautiful inland holes wind through marsh, forest and farmland. Kauri Cliffs is currently ranked #39 in the world by Golf Digest Top 100 Greatest Golf Courses in the World. Kauri Cliffs recently underwent a renovation from world-renowned golf course architect Rees Jones. The 5th hole received a complete redesign and was transformed from a long, uphill, forced carry par-3 to a short "drop shot" par-3. Other notable changes were the addition of tees on the 2nd and 9th holes and a bunker renovation on the 4th hole. The golf complex includes a world-class practice range, putting and chipping greens, a well-stocked golf shop, and ladies’ and men’s locker rooms. Premium ladies’ and men’s rental clubs are available. Heading south from Auckland you'll go through the lush pastures of Waikato king country. Choose to bypass Hamilton or if you've got the time, stop in to visit the renowned Hamilton Gardens - a detour we highly recommend. Continue on, following the Waikato River through the small township of Cambridge to eventually arrive in Taupo, which sits on New Zealand's largest lake - Lake Taupo - and is actually a giant volcanic caldera. The Huka Jet is 30 minutes of pure fun and exhilaration, skimming close to cliffs, sliding past trees, feeling the adrenalin of full 360 degree spins. The excitement continues right up to the base of the foaming Huka Falls, where you get a spectacular water level view to New Zealand's most visited natural attraction. Nothing compares to watching 220,000 litres per second tumbling over the cliff face towards you. The water from the mighty Huka Falls runs down the Waikato River through a series of Hydro Power Stations. You'll get a view of the Wairakei Geothermal Power Station in the comfort of a powerful Chevrolet V8 jet boat. This unique Geothermal Power Station uses underground geothermal activity to produce hot steamy water. The Waikato Rivers beautiful environment is varied and unique and is New Zealand's longest river flowing north from our largest lake - Lake Taupō. Sit back and relax in luxury bean bags on board the yacht Barbary as you enjoy a scenic sail across Lake Taupo to the 10-metre high Maori rock art, only accessible by boat. You're guaranteed amazing photo opportunities as you experience one of life's postcard moments on this Maori tour. Glide across a smooth lake as you soak up the warming sun or go for a swim before you enjoy free light refreshments at the rock carvings. If you're looking for a little more activity you can help hoist the sails or take a turn at the wheel. Taupo's Maori rock carvings may look like the remains of a 1,000-year-old Maori village, but these rock carvings were created in the late 70s by local artists lead by John Randall. Duration of cruise is 2 to 2.5 hours. The town of Taupo sits on New Zealand's largest lake, Lake Taupo and this beautiful and serene body of water is reason enough to visit. The lake is actually a volcanic caldera formed following a massive eruption in the year 186 and is considered to be one of the most massive and violent eruptions known. Overlooking the lake are the cones of long extinct volcanoes, further evidence of the regions fiery past. To the south west Mt. Ruapehu in the Tongariro National Park can be seen. The town itself is a lively place with many shops, bars and cafes all catering for the traveller and visitor. A whole host of activities can be undertaken here such as bungy jumping, sky diving, fishing for trout in the lake and rivers, kayaking, sailing, horse riding and walking and hiking to name but a few. Just to the north of the town centre is the Wairakei geothermal power station and a little further north is Craters of the Moon, a geothermal wonderland where you can explore colourful sulphurous lakes, bubbling mud pools and hot water geysers from the safety of boardwalks. The nearby Huka Falls are a spectacular sight and a jet boat ride will give you a very exciting ride to view the thundering water from below. Ranked in 2013 in the Top 100 in the World by Golf Course Architecture Magazine, The Kinloch Club was also rated on opening in 2007 as the top new golf course outside North America by the prestigious US Travel and Leisure Golf Magazine. The Golden Bear visited Kinloch to oversee construction of his signature Championship golf course and returned to The Kinloch Club in February of 2008 to play the course for the first time since completion. Jack was extremely happy with how his vision had come to fruition and was greatly impressed with the maturity of the golf course after it's 'grow in' stage. The Kinloch Club (Nicklaus signature golf course) is the only Nicklaus designed golf course in New Zealand. Wairakei International Golf Course in 2005 was rated by the Prestigious US Golf Digest magazine to be in the top 100 courses in the world outside of the USA. Located in the heart of the North Island and set amongst the spectacular scenery of the Lake Taupo region. Designed by Commander John Harris, Michael Wolveridge and Peter Thomson with the aim of producing New Zealand's first internationally recognised golf course, there is little doubt in any New Zealanders mind that this trio exceeded all expectations. The end result is a course that sprawls over 450 acres of natural countryside. This coupled with the 6444 metres from the championship tees and 108 large well placed bunkers has led to worldwide acclaim. Click here for current green fees and course details. The road from Taupo climbs high onto the plateau crossing the Ahiminawa Range before arriving onto the Pacific Coast just north of the worlds finest art deco city of Napier. Napier, the city by the sea, is renowned for its 1930s Art Deco architecture, events such as the Art Deco Weekend in February, stately Norfolk pines, surrounding wineries and local fresh produce. Supported by a Mediterranean climate and over 2,200 hours of sunshine a year this popular year-round destination boasts a vibrant cafe culture amongst the splendour of the Art Deco buildings. Around 30 cafes are within walking distance of the central city area, while Ahuriri, just over Bluff Hill, is home to a further cluster of up market establishments. Marine Parade overlooks the Pacific Ocean and out towards Cape Kidnappers, home to the world's largest mainland gannet colony. A full day can be taken visiting Ocean Spa hot pools and swimming complex, the Hawke's Bay Museum and the National Aquarium of New Zealand. Drive along the scenic coast from Napier to Te Awanga and join Gannet Safaris Overland and the world's largest, most accessible gannet colony at Cape Kidnappers. Gannet Safaris has been guiding visitors over Cape Kidnappers for over 35 years and their safaris are the only way to be driven right to within a few feet of these remarkable birds. You will travel in comfort in air conditioned 4 x 4 wheeled vehicles, through Cape Kidnappers Station - traversing riverbeds, broad rolling pastures, through stands of native bush, steep gullies and breath-taking inclines. There is a stop on the way at a spectacular cliff top with panoramic views of Hawke Bay right across to Mahia peninsular. 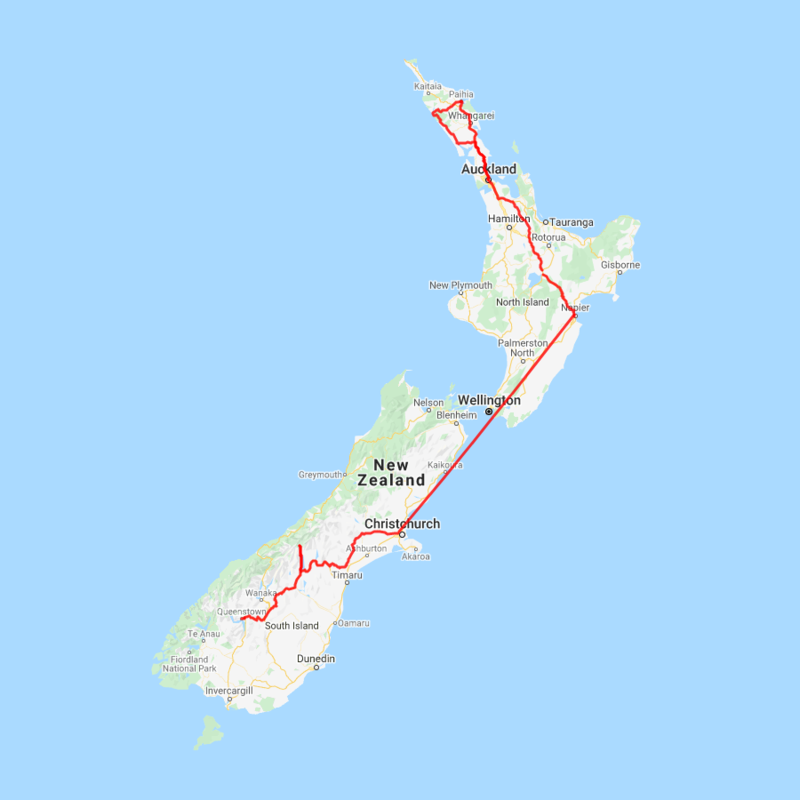 The 36km, three hour trip includes a commentary by your tour guide / driver on the farming operation on Cape Kidnappers Station and an introduction to the gannets. On arrival at the gannets you can stretch your legs and take in the scenery from your position at the brink of the cliffs edge - 100 metres above the ocean! Designed by legendary golf architect Tom Doak, the Cape Kidnappers par 71 golf course measures 7,119 yards (6,510 meters) and will challenge golfers of all skill levels. Completed in 2004, our spectacular New Zealand golf course has been hailed as one of the great modern marvels in golf. Built on a ridge-and-valley landscape and with stunning sea views, Cape Kidnappers Golf Course plays high above the ocean atop dramatic cliffs. With cliff-edge fairways perched 140 metres above sea level and with a surface that remains firm and fast, this course offers holes unlike anything you find elsewhere in the world. While every hole has a spectacular view of the Bay, some play cautiously alongside deep ravines as others intimidate golfers with deep cliff top bunkers and sheer drops off the very edge of the earth. The golf complex includes a world-class practice range, putting and chipping greens, a well-stocked golf shop, clubhouse and ladies’ and mens’ locker rooms. Premium ladies’ and mens’ rental clubs are available. A relaxing way to spend your second day in Christchurch is with a day trip to the village of Akaroa or the wine growing region of Waipara. The historic French settlement of Akaroa sits on a picturesque harbour and is a beautiful place to relax, soak in its history and play in the harbour. Two of the most popular activities are the Akaroa Harbour nature cruise or swimming with the rare hectors dolphin. If you prefer fresh mountain air and an adrenalin rush, Christchurch is a great base to explore the Southern Alps. Enjoy an early morning hot air balloon ride, or a full day Alpine Safari, with jet boating, a 4WD farm tour and the spectacular TranzAlpine Scenic Train journey included. The par 72 championship course is home to the HSBC NZ PGA Championship. Designed by John Darby in consultation with New Zealand golfing legend, Sir Bob Charles, the course combines elements of links golf inspired by the great Scottish courses with parkland golf, more reminiscent of Florida. Playable year-round, the course meanders around a succession of spring-fed lakes and trout-filled streams, with uninterrupted views of the spectacular Southern Alps. There are five tee positions to suit players of all abilities. Set in a natural, alpine amphitheatre, against the backdrop of the Remarkables Mountain Range, the golf course at Millbrook exploits the dramatic terrain fully, delivering world-class golf. Designed by Sir Bob Charles and recently upgraded by Greg Turner, this 18 hole, par-72 championship course features 4 different tee positions for complete enjoyment at all levels of playing expertise. Take a tour of the course here. Go off-the-beaten-track with this unique Central Otago wine tour. Taste wines at four of the best vineyards in the Gibbston, Bannockburn and Cromwell regions. The wineries you'll visit are selected from the following: Peregrine, Chard Farm, Carrick, Mt Difficulty, Felton Road, Akarua and Olssens vineyards. This tour also includes a delightful gourmet platter lunch at the award-winning Carrick Winery Restaurant. Departing Queenstown, you'll go through picturesque valleys, dramatic gorges and rolling vine-covered hills. See the Otago Goldfields, Historic Old Cromwell Town and Lake Dunstan and the Kawarau Gorge. For the ultimate golf experience you can't go past a hole in one at 4,500 feet! From Queenstown take a scenic helicopter flight with Over The Top helicopters to the most spectacular golf range in the world. Landing at 4500 feet on top of the Southern Alps you'll find a unique par 3 golf experience with magnificent views of Queenstown and the surrounding mountains. You'll choose two T's from the four onsite for your own golfing adventure. The challenge includes nearest to pin, longest putt and longest drive and for maximum bragging rights - a hole in one. You'll have 5 balls and 1.5 hours so take your best shot! Explore more of Queenstown before dropping your rental car at the airport depot and continuing your onward journey.